Neutral Bay could well be home to the best Californian food this side of LA with the recent opening of SoCal, a southern Californian inspired restaurant & bar. 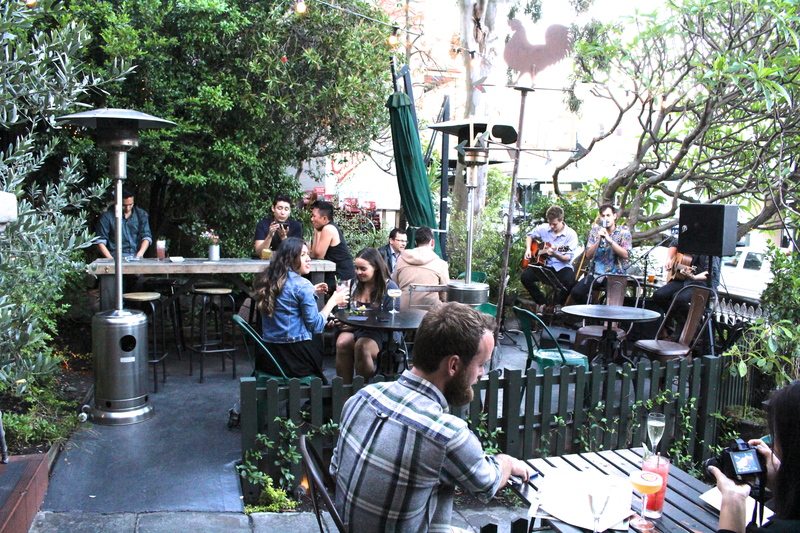 SoCal is the third venue to be launched by Applejack Hospitality and should prove to be as popular as their other venues, Bondi Hardware and The Botanist. Renowned designers Luchetti Krelle (of Momofuku Seiobo, Ananas, Hinky Dinks and Sake fame) have truly evoked the laid back, Southern Californian vibe and feel. SoCal has a retro chic ambience with bright colours, along with unique furniture and features. 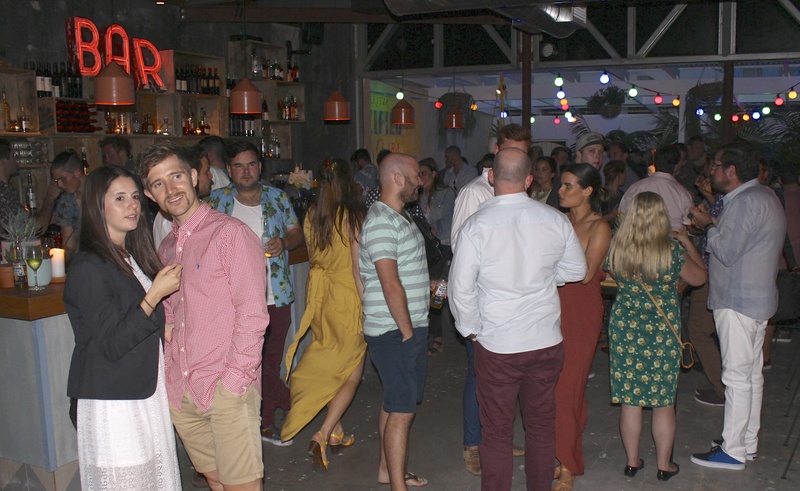 The design has taken full advantage of the generous outdoor terrace which should prove to be a very popular spot to enjoy the relaxed bar area. An added bonus at SoCal is their 2 a.m. Licence. Their fabulous Del-Martini cocktails, consisting of Ketel One Vodka with Peach Liqueur, fresh lime, peach puree and a dash of peach bitters are definitely on my list as one of the all time best cocktails I’ve had. Newly appointed Head Chef, Zac Smart (formerly from Steele Bar & Grill) has created a menu with a Mexican, North American and seafood emphasis, including Cali-inspired share plates, taco’s, mini dogs & ceviches. The Hawaiian tuna poke on corn tostada, crab and sopressada empanadas, refried bean and rice quesadilla, SoCal chilli dogs, Pollo Loco Pinchos (spiced chicken skewers on rice with sauce Mole) that I tried were all excellent. I could not leave without trying the Churros and chocolate sauce for dessert. If I closed my eyes, I could easily have thought I was in Southern California. SoCal has my vote as having some of the best food and cocktails for a fun night out. Komune Resort & Beach Club, situated at Keramas on Bali’s east coast, is a new resort for those who love to surf or wish to experience the surfing lifestyle. This hip resort consisting of 33 rooms, that overlooks the world-class surf reef break of Keramas, opened its first stage in late 2012. The second and third stages are set to open in 2014. 45 minutes from Ngurah Rai international Airport in Denpasar via the new Sanur bypass toll road, the resort is only 3 minutes from Bali Safari and Marine Park and a 25 minute drive from Sanur’s shopping district and Bali’s arts & cultural centre, Ubud. Komune Resort & Beach Club is now offering surf lovers a world first, with the recent launch of a permanent night surfing installation. Each night, guests and visitors can watch the local Bali board riders put on a spectacular performance of surfing the waves. After seeing the display, guests can book a night surf, with only five others sharing the waves. Guests can choose either the night surfing sessions which run from 7pm to midnight each evening, or from 4am to 6am for those early risers, at a cost of $20 per hour. The resort specialises in finding surf spots to suit individual ability. There is a dedicated tour desk to book boat transfers from Keramas to breaks such as Nusa Lembongan which is great for intermediate surfers, and for more experienced surfers, Tanjung Sari, Hyatt Reef and Sanur Reef. In February 2014, Komune’s ten Junior Suites will be opened with a launch rate from $140 per night. Late 2014 will see the launch of luxury Beach Villas that will enjoy sweeping ocean views overlooking the Keramas right-hander, enabling guests to view night surfing from their private villa. Each of the twenty-four two and three bedroom villas will have their own private swimming pool, Bose sound system, internet connection, fully equipped kitchen, outdoor showers, BBQ, outdoor lounge, king size beds and a lounge area with surf views. Komune Bali prides itself on being environmentally and socially conscious, incorporating solar power, LED lighting, water harvesting and purification, cross flow ventilation, sewer and storm water management, river channel and beach management, cleaning and monitoring. Co-owner Tony Cannon said “If you want a perfect place to chill on family sized pool deck loungers, desert island style hammocks listening to the waves crashing down whilst snacking on fresh and tasty food with vegetables picked from our own garden, Komune is for you”. 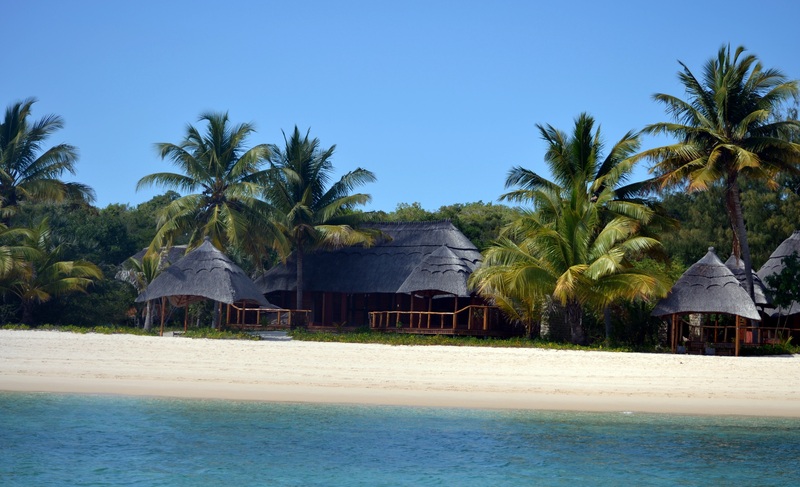 Benguerra Island Lodge in Mozambique has been renamed “&Beyond Benguerra Island” after being added to &Beyond’s portfolio of luxury safari lodges and camps. &Beyond recently took over the management, marketing and reservations for the Lodge. Situated on a prime beach site, “&Beyond Benguerra Island” is simple, yet elegant. Ten casitas and two cabanas are tucked into a shady forest on the edge of a pristine beach that directly overlooks ocean vistas. Both casitas and cabanas combine Arabic style with clean lines and chic interiors. Large windows with dark wooden shutters gaze out towards the Indian Ocean, while private timber decks and cool plunge pools offer a secluded alternative to beach sands and ocean waters. A shaded gazebo provides the ideal venue for starlit dinners. Two spacious bedrooms include ensuite bathrooms and open air showers, while the casitas offer a generous private lounge. Set in its own secluded garden, mere metres from the beach, the spacious two bedroom family suite ensures privacy and exclusivity and welcomes children of all ages. The bathrooms have deep copper bathtubs and outdoor showers with intricate mosaic inlays. The suite’s sheltered wooden veranda even has its own private swimming pool. Swimming and boating are available directly off the sandy beach, while additional activities include traditional dhow cruises, island expeditions, bird watching, local village tours and sea kayaking. “&Beyond Benguerra Island” has a dive centre where guests can take part in a range of PADI certified diving courses or set off to explore an exceptional wealth of marine life. The island is also known as a game fishing and fly fishing mecca, with all activities following a strict catch and release policy. Guests can enjoy idyllic horse rides on the beach or into the island’s interior, while catamaran cruises, castaway picnics and snorkelling are also available. ‘Just as “&Beyond Mnemba Island” off Zanzibar completes our East African lodge circuit and is renowned for its marine conservation efforts, “&Beyond Benguerra Island” will complete our Southern African lodge circuit and will be equally celebrated for its marine protection. The acquisition also opens up a new region for &Beyond and we look forward to sharing the natural wonders of Mozambique with our guests,’ said &Beyond Group CEO, Joss Kent. During 2014 “&Beyond Benguerra Island” is scheduled to have a $1.5million refurbishment. This marks a new growth phase for &Beyond and is part of their lodge investment strategy, which also involves extensive rebuilds currently underway at their lodges in Kenya and Botswana. 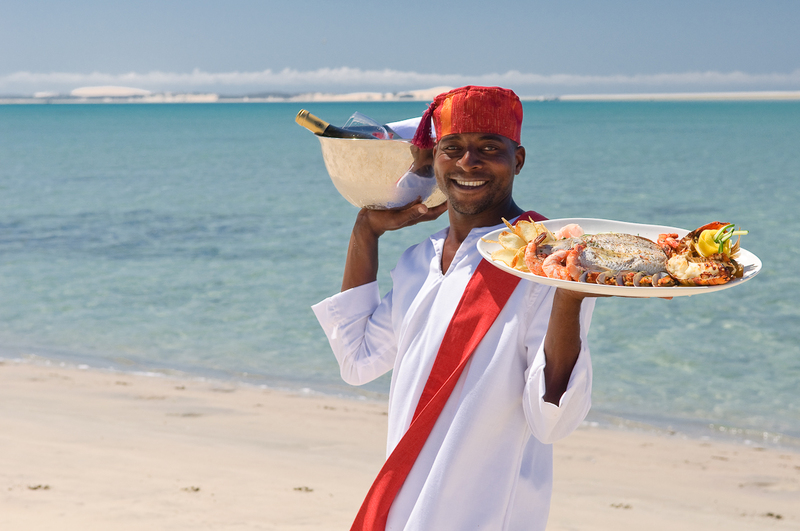 Benguerra is the second largest island in the Bazaruto Archipelago, offering pristine beaches, unspoiled coral reefs teeming with marine life and excellent fishing. Set in a national park, the island consists of a patchwork of habitats, including forests, wetlands and three freshwater lakes inhabited by crocodiles. The Indian Ocean waters off its shores are home to a variety of fish species, as well as one of the few remaining populations of the endangered dugong. Spiegelworld, the Australian entertainment company behind the hit shows Empire and Absinthe, has announced it will open a new resident production Vegas Nocturne at The Cosmopolitan of Las Vegas from December 30 2013. Spiegelworld will have two resident shows simultaneously playing on the Las Vegas strip, at the same time as Empire returns to Sydney and Melbourne in the spiegeltent. Vegas Nocturne will be presented at Rose.Rabbit.Lie, the new social club to be operated by Spiegelworld at The Cosmopolitan of Las Vegas, the city’s newest luxury resort. Rose.Rabbit.Lie will blur the lines between restaurant, bar, club and show, offering guests a new take on a night out in Las Vegas and will be presented at 8pm, 10pm and midnight each evening. American audiences first experienced Spiegelworld when it started presenting its annual summer season in New York City in 2006 on Pier 17 at South Street Seaport and became a summer institution at its East River location in the shadow of the Brooklyn Bridge, as well as touring to Miami South Beach and Melbourne, where it was the featured entertainment of the 2009 Australian Open. In 2011, Spiegelworld opened its award winning show Absinthe on the forecourt of Caesars Palace in Las Vegas. Now in its third sold out year, the production has been hailed as “the most inventive and daring show to open on the strip in years!” by the Las Vegas Sun and the “Best Show in Vegas” by Vegas Seven Magazine. Absinthe has been extended at Caesars Palace until 2016. In 2012 Spiegelworld found a new location in New York City, on an empty building site right on Times Square. It was here that Spiegelworld presented the world premiere of its new spiegeltent show, Empire. Since its Australian premiere season in Sydney in January 2013, Empire has been seen by over 140,000 people around the country with rave reviews, sold out performances and standing ovations. Empire will return to Sydney’s Entertainment Quarter on January 7, followed by a return Melbourne season on the Rooftop at Crown from March 11. 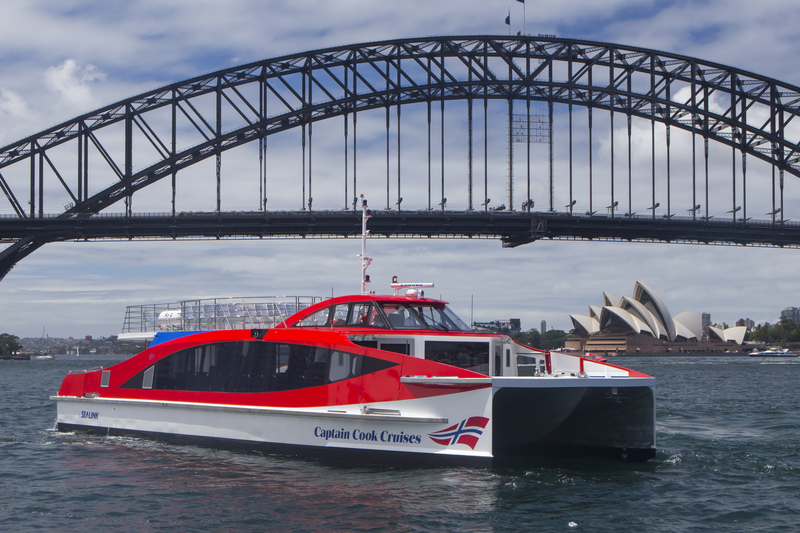 If you notice a new shiny red catamaran around Sydney Harbour, its Elizabeth Cook, the latest vessel to join Captain Cook Cruises Sydney Harbour Fleet. Named after Captain James Cook’s wife, she is SeaLink Travel Group’s new $2.6 million state of the art catamaran and first true multi-purpose boat, allowing her to operate in all corners of Sydney Harbour. Lucy Hughes Turnbull, Chair – The Committee for Sydney, officially launched Elizabeth Cook recently in the traditional maritime way, breaking a champagne bottle across the bow, after a blessing by Father Dooley. Designed in Sydney by Incat Crowther and built in Tasmania by Richardson Devine Marine, this new generation 24metre Rocket catamaran was designed to be eco-friendly and more fuel efficient, equipped with the latest technologies that will help reduce her carbon footprint. Featuring two levels, the main passenger cabin has seats for 116 passengers with a further 31 seats located on the lower outside deck, while the open upper deck seats 51. There is also ample space for passengers to stand and view the sights. Elizabeth Cook will operate as a ferry, transfer service and host sightseeing cruises, especially the popular Hop On Hop Off service almost immediately. She will also be used to host charters and corporate events. Managing Director, SeaLink Travel Group, Jeff Ellison said the company was very excited to have built a new vessel for Sydney Harbour. “We believe this is a prototype for the future. As well as being eco-friendly and cost efficient Elizabeth Cook offers a new level of comfort including large windows, a professional marine interior and a 360-degree viewing sundeck” Mr Ellison said. Darlinghurst Theatre Company recently opened the new Eternity Playhouse, previously the Burton Street Tabernacle on the corner of Burton & Palmer Streets Darlinghurst, with one of the most celebrated plays of the twentieth century, Arthur Miller’s All My Sons, directed by renowned theatre director Iain Sinclair. Set in 1947 in mid-west America, All My Sons tells the story of an all American family torn apart by a shameful secret. Joe Keller is a proud family man, successful business owner and local hero, but when he places the family’s prosperity above the lives of others, there are devastating consequences for all. Marshall Napier leads a stellar cast including Toni Scanlan, Briallen Clarke, Robin Goldsworthy, Anthony Gooley, Andrew Henry, Mary Rachel Brown, Angus Moore, Zac Ynfante and Meredith Penman. Named in honour of Sydney identity Arthur Stace, who became known as “Mr Eternity”, it was in the Burton Street Tabernacle that Stace heard the sermon that inspired him to anonymously chalk “Eternity” on the city’s footpaths for over 30 years. The Eternity Playhouse is set to become a prominent theatre destination in Sydney, with its stunning architecture, brand new state of the art facilities and iconic place in Sydney’s history. Darlinghurst Theatre Company has worked closely with the City of Sydney and architects Tonkin Zulaikha and Greer to create a technically advanced theatre that is also welcoming, accessible and intimate. Restoration work commenced in 2008 to bring the 126 year old heritage listed building back to its former glory, including repairs to the roof structure and laying new Welsh slate tiles to match the originals, as well as restoring the original decorative timber ceiling and stain glass windows, plus re-pointing the brickwork and general repairs. The original Baptismal Font, which was used for full immersion baptisms, has been retained underneath the theatre stage. 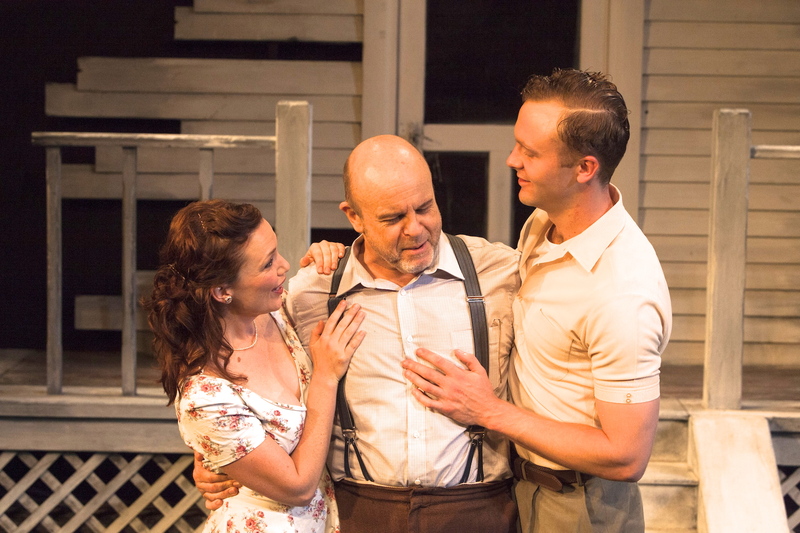 All My Sons plays at Eternity Playhouse until December 1. For online and phone bookings http://www.darlinghursttheatre.com or 02 8356 9987. The Cottage Bar & Kitchen in Darling Street Balmain is well worth leaving the eastern suburbs for. Located in a converted Victorian era cottage, this quaint bar recently launched their new summer menu. 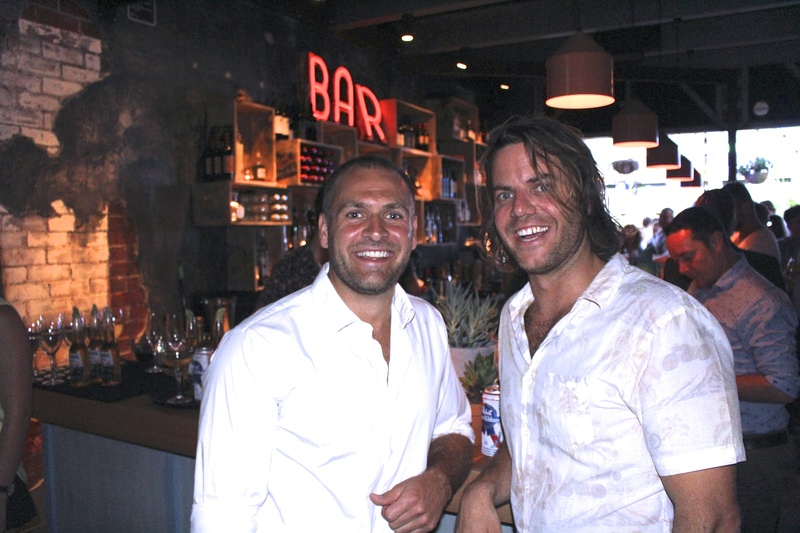 I want to spread the word so that it’s not only Balmain locals, but other Sydneysiders as well, who get to enjoy the Cottage Bar & Kitchen’s mouth-watering summer themed cocktails and their large selection of wines, beers and ciders plus delicious food. Co-owner Osman Misirlizade said their impeccably presented cocktails use fresh ingredients. Most of the cocktails have unforgettable names like ‘Remember Me In The Morning’ which is made with fresh passion fruit, passion fruit vodka, licor 43, crème de peche, peach bitters, egg white, blood orange and lemon juice; ‘Summer Squeeze’ is made with fresh watermelon, basil, Tanqueray gin, crème de mure, watermelon liqueur, lemon juice and ruby red grapefruit juice. The unique crowd favourite, ‘Mum’s Apple Pie’ is made with Ron Zacapa 23 year old dark rum, Batlow cloudy apple cider, lemon juice and apple pie syrup. All are absolutely delicious. Head Chef Ellen Young’s menu offers a large selection of items from share plates to pizza, oysters and cheeses as well as some fabulous desserts including Key Lime Pie with rum cream. With its new courtyard for alfresco dining, main dining and bar area plus upstairs lounge as well as the front courtyard that regularly has live music, The Cottage Bar & Kitchen offers something for everyone. You are currently browsing the SANDRATBLOG.COM blog archives for December, 2013.